Every city has an air about it. Every city has its own history, its own pride, its own secrets. Every city has places to be visited. And then there are some facts and facets of the city which get lost in translation or fade away with passage of time. Some years back, I discovered one such place in my own backyard- Mumbai, the city of dreams. 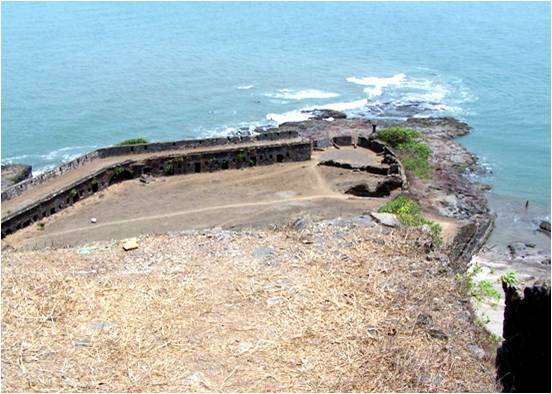 At about 48 KM, north of Mumbai lies Vasai (Bassein as it is was originally known). Vasai, one of the most interior and far flung place in Mumbai, is a small island hamlet known for its rich and overpowering history. The most powerful witness to this majestic view into history is the Bassein Fort. One needs to take a train bound to Virar from Churchgate and get off at Vasai Road . The Churchgate -Virar falls in the Western Railway. If someone is coming from the central railway or harbour line then they have to board the train from Dadar. The bus depot is quite adjacent to the railway station. The buses going to fort are Killabandar buses. There are buses every half hour. Ticket costs you Rs.7.00 and you can get off at the last stop and start walking around. Auto Rickshaws are also available which can be hired from the main road outside the station but it would cost you around Rs.10.00 per head, with a share rickshaw. 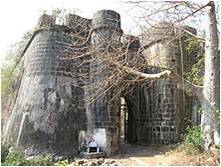 The Bassein Fort is the Sea fort in Vasai Road, which is a suburb towards north of Mumbai.Vasai Road is the third last station on the western railway towards Virar. It falls in District on the mainland just north of the Bombay archipelago. It was established by the Portuguese as the headquarters of their Indian operations in 1534 and centre of their operations until 1739. 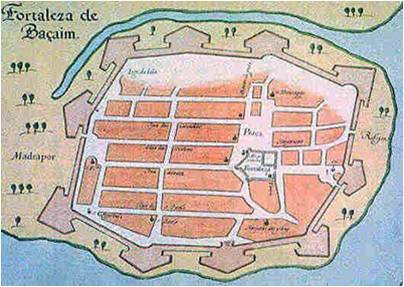 With this as the main base, they built other smaller forts such as the Castella de Aguada, and strong houses in many of the islands in what is now Pakistan. 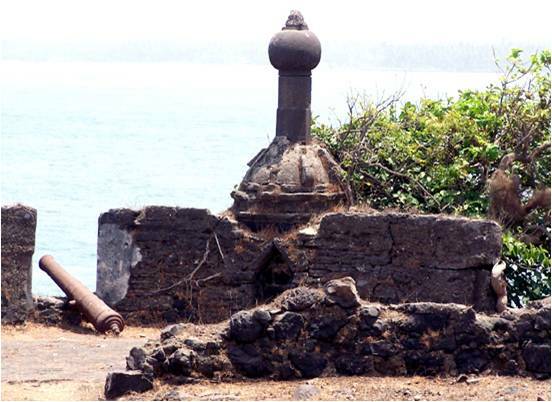 In the 18th century, the fort was attacked by the Maratha army under Peshwa Baji Rao’s brotherChimaji Appa, and fell in 1739 after a three year long campaign. The ramparts overlook Vasai creek and are almost complete, though overgrown. Several watch-towers still stand, with safe staircases leading up. 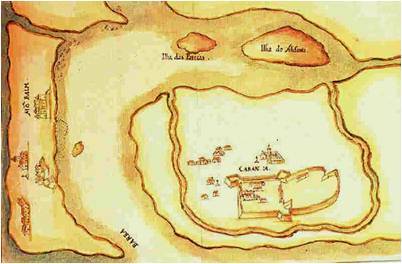 The Portuguese buildings inside the fort are in ruins, although there are enough standing walls to give a good idea of the floor plans of these structures. Some have well-preserved façades. In particular, many of the arches have weathered the years remarkably well. They are usually decorated with carved stones, some weathered beyond recognition, others still displaying sharp chisel marks. Three chapels inside the fort are still recognizable. They have façades typical of 17th century Portuguese churches. The southernmost of these has a well preserved barrel vaulted ceiling.The fort is often used for shooting Bollywood film scenes. The films shot here include Josh, Khamoshi, Ram Gopal Verma’s Aag etc. Besides all the wonderful structures one should not miss observing the wonderful nature that has taken over the dilapidated parts of the fort. It is a great place to observe butterflies, birds, plants and reptiles. “Like all the accounts of any monument, the Bassein fort also has many accounts by the different people that ruled from the fort. Following is an account of how the current beliefs and information available is actual misconceptions based on local tales and manipulations of the some of the previous rulers,” you would hear localities tell you. Unfortunately, what remains of this fortress is mere remains. Some of the accounts available today on the internet about the fort mention that during 1500’s this fort was created by Portuguese who stayed there till somewhere near 1700’s following by Marathas (Peshwa Chimaji Appa) who was one of the Freedom fighter and Maratha Leaders who stayed at this place till 1800’s and since then Vasai fort is still like that.Condition of this Monument of Vasai is not so Good Now, Still one can see the old beautiful work being inside the fort, as it is located at coastal location surrounded by Sea water with Silence surrounded around, it is good to go in groups if you want to explore it. Few Bollywood film shootings have also been done here. 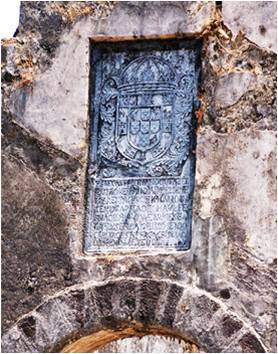 In The Middle of the Fort, lies a Portuguese Church with a Cemetery which is an old Heritage of the Fort with Names written in Latin on it. When I visited the fort, I was accompanied by a group of youngsters who are working hard for the restoration and preservation of this cultural heritage monument. Unfortunately, local administration officers look quite uninterested suggest the locals. Sad part, more importantly is the low awareness of the fort and its origins. Now in ruins the Bassein Fort stands erect behind the palm groves as an instance of the great Maratha rulers. The entrance leads to a tiny patio from where the remnants of the old fort can be seen that are mostly ruined now. The remnants of the fort still illustrate the wonderful architecture of the history. 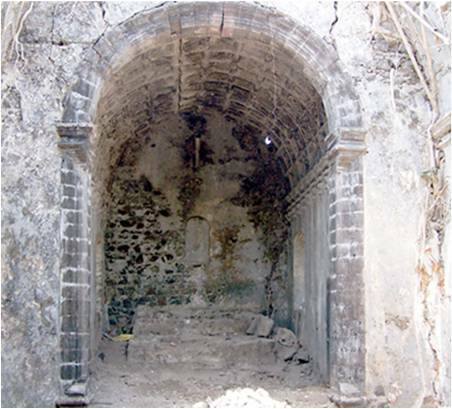 There are three chapels inside the Fort that resembles the architecture of the 17th century Portuguese churches. The southernmost chapel has a well preserved barrel domed ceiling. Although the fort is in a wrecked condition, the remnants of the standing walls give a clear idea of the floor plans of these forts. Decorated with carved stones, some of these arches still exhibit sharp carves and some have worn out beyond recognition. Bassein is a shipbuilding centre today and was ruled by many rulers, such as, the Portuguese, the Marathas and the British. Rooted in its more than a century old past, the fort is a splendid experience for anybody who wants to study Indian history. 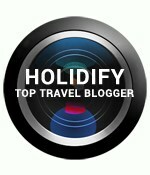 This entry was posted in Travel and tagged Arabian sea, Bassein, Bollywood, coast, fort, Mumbai, Portuguese, sea, Vasai. Bookmark the permalink.